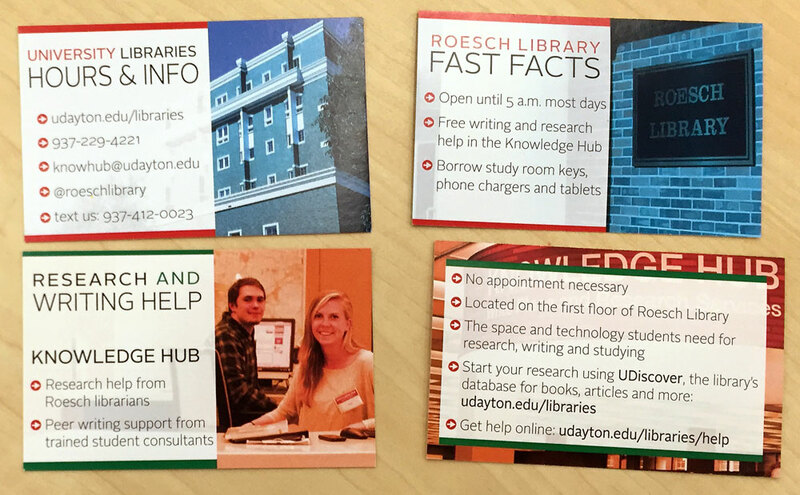 “The University of Dayton Libraries marketing and outreach team brainstormed several different first-year student promotional pieces. We took a vote at one of our meetings and the concept of a card holder won. Our circulation staff shared that when students come to the desk to check out study room keys, they often have their student ID in a card holder such as this one. We wanted to make something that would be useful for students, and also a vehicle for important library information. 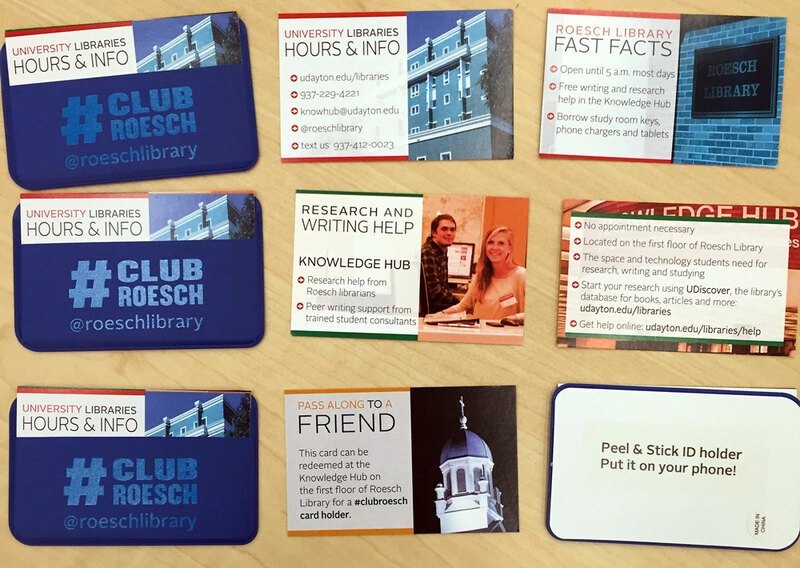 We created information cards that go in the holder when we distribute them, including: library hours & fast facts, and information about our research and writing help services. 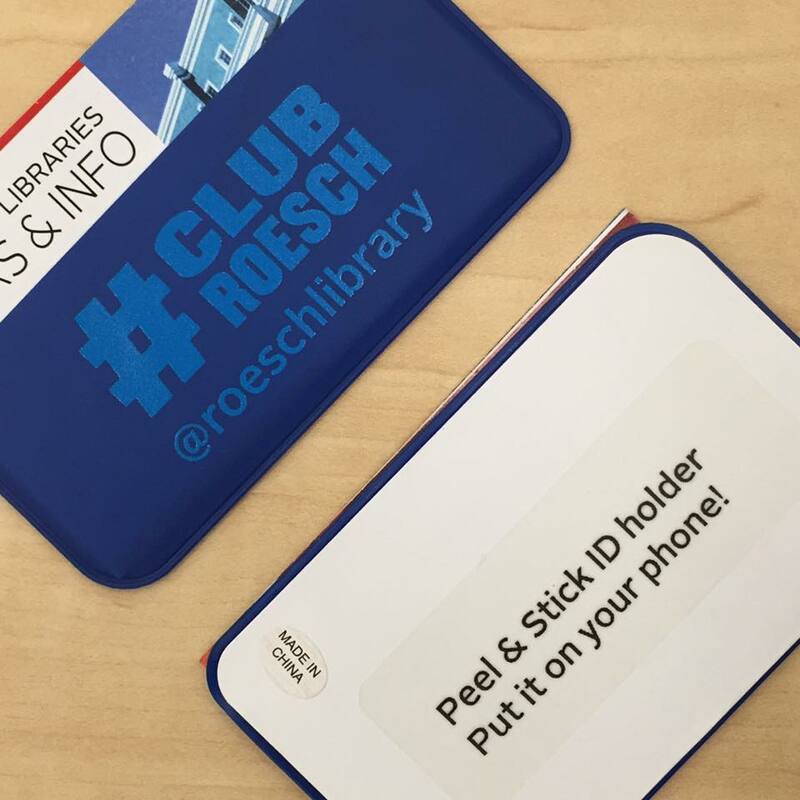 Our goals included promoting the student-created hashtag for the library (#clubroesch) and our Twitter handle, @roeshlibrary.